By Charnita Fance in Coding. Updated on May 8, 2018 . 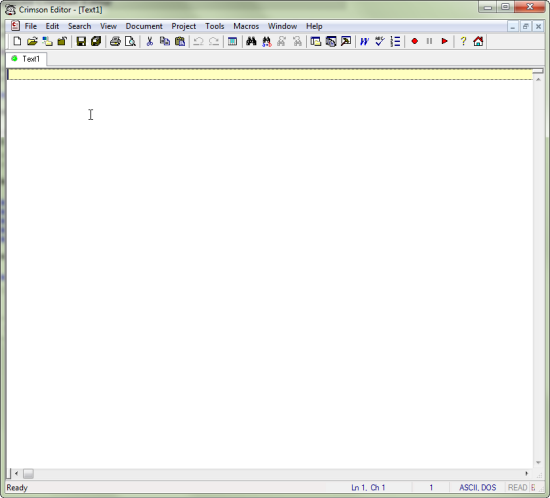 With professional code editor like Dreamweaver, Coda, Textmate and others, its no surprise that more and more people have partially forgotten about simpler code editor such as Window’s Notepad. We do understand that simpler does not mean the best option however, there are simpler yet professional code editors that might just suits what you need! These are what I found to be the best bang for zero bucks (with an added bonus). Feel free to share your personal favorite in the comments. 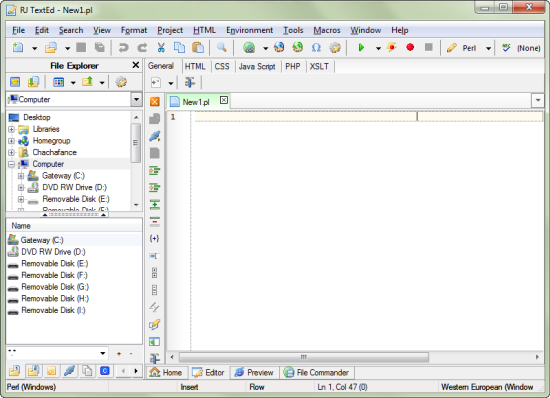 Notepad++ is an open source replacement for the original Notepad program (which comes with Windows) and supports several languages. Even though it is built for Microsoft Windows, it can also run on Linux, Unix, BSD and Mac OS X (using Wine). 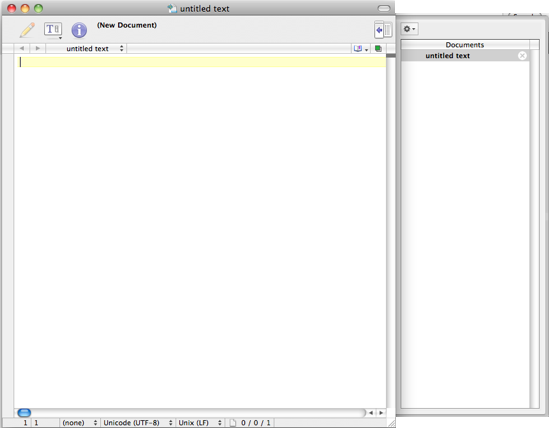 Immediately upon starting Notepad++ you will notice the difference between it and the original Notepad. There are loads of additional buttons and features like plugin support, tabbed editing, drag and drop, split screen editing, synchronized scrolling, spell checker (via an included plugin), find and replace over multiple documents, file comparison, zooming and much more. "Notepadd++ supports syntax highlighting and syntax folding for 48 programming, scripting, and markup languages" (source). As the website explains, the program is written in C++ and uses pure Win32 API and STL which ensures a higher execution speed and smaller program size. 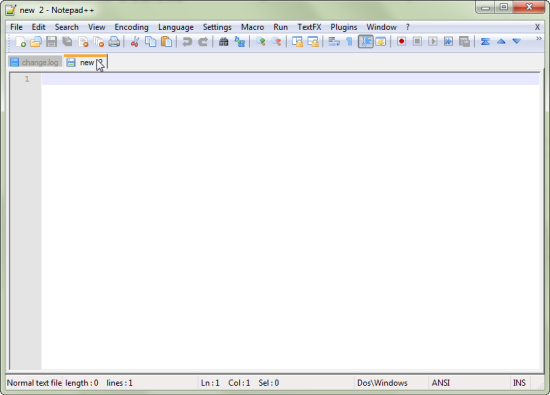 If you would like to learn how to make Notepadd++ your default text editor, you can find instructions here. jEdit, a program for Windows, Mac OS X, OS/2, Linux, BSD, Unix and VMS, is said to be for mature programmers only. 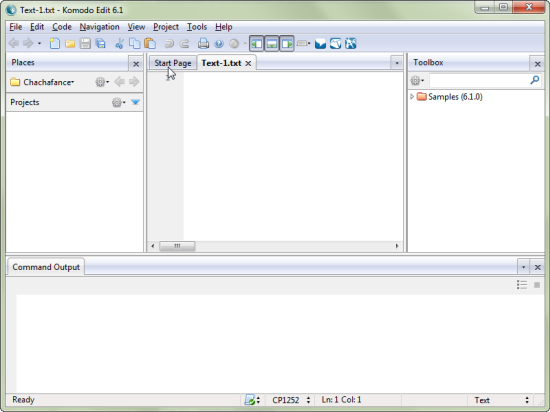 Written in Java, it is open source and supports hundreds of plugins and macros. The main window can be split horizontally or vertically and also comes with "auto indent, and syntax highlighting for more than 130 languages." There are many customization options for making everything from the dock to the status bar to the toolbar look and feel exactly the way you want. You can even "copy and paste with an unlimited number of clipboards." 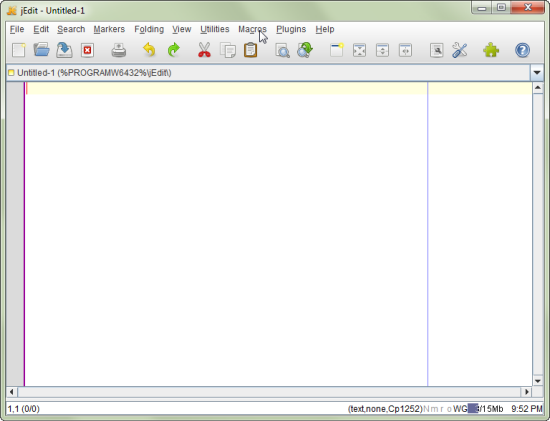 As you can see from the image below, it resembles Notepad++ from the toolbar to the tabbed editing. It also supports plugins, which are called "tools," and macros. There is even a built-in FTP client and you have the ability to manage groups of related files and save them as projects. 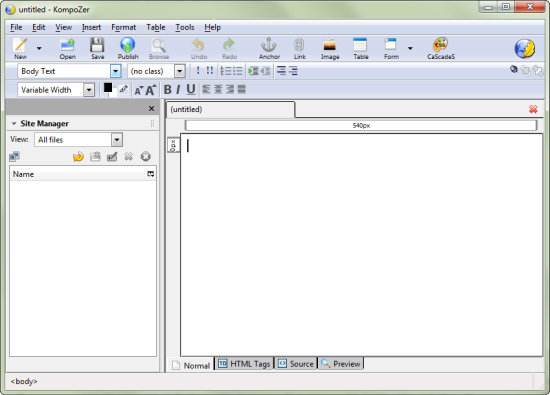 EditPad Lite is another Windows-only, general-purpose text editor and is written in 10 different languages. It was built with Delphi and is small, compact and free for non-commercial use only. So, if you will be getting paid for the work that you do with it, then you’ll need to purchase EditPadPro. Features are limited, but it does have tabbed editing, can remain running in the system tray, supports auto indenting and can be configured to suit your own taste and eyesight. 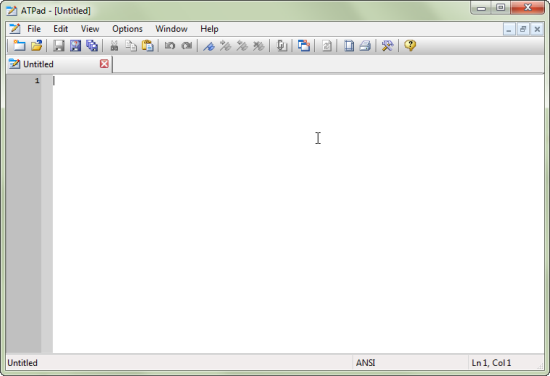 EditPad Lite also resembles Notepad with the exception of the formatting toolbar and tabs. ATPad is not much different than most of the others mentioned above: it’s another rendition of Notepad with a few upgrades. Besides English, you can get ATPad in 11 other languages. You get tabbed editing, customization options, line numbering, word wrapping, bookmarks (so that you don’t lose your place when returning), customizable snippets, sending via email and more. Since ATPad doesn’t require installation, you can open it from virtually any kind of drive and it doesn’t leave any traces behind. To remove it simply delete the ATPad directory. 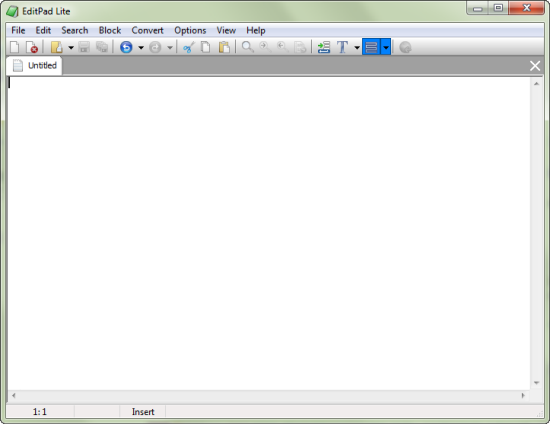 RJ TextEd is for Windows only and supports 18 different languages and 20 programming languages. It was built on CodeGear Delphi and is not open source. There is both a PC and portable version for download along with a handful of plugins and tools that you can download separately. Unlike most of the clean cut programs mentioned above, RJ TextEd has toolbars, panes and tabs galore. 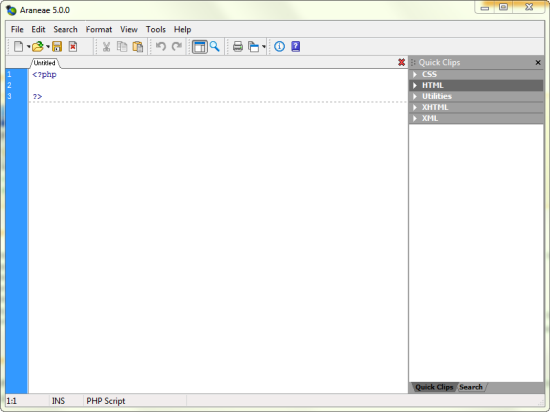 You can also create projects and macros and customize your work environment. Powered by Mozilla, "KompoZer is a complete Web Authoring System that combines web file management and easy-to-use WYSIWYG web page editing capabilities found in Microsoft FrontPage, Adobe DreamWeaver and other high end programs." This easy to use program, for Windows, Mac OS X and Linux, is geared toward non-technical users who don’t know much about HTML or web coding. It’s available in 21 different languages, has integrated file management via FTP, tabbed editing, color picker and support for forms, tables and templates. As you can see from the screenshot below, it’s meant to be more like DreamWeaver as opposed to Notepad (hence the catering to non-technical users). As an added bonus we have TouchQode, which is an editor just for smartphones. It’s currently only available for Android, but you can subscribe to be notified about the iPhone release. For a smartphone editor, it has some great features like syntax highlighting, the ability to run (simple) scripts, an integrated FTP client, file syncing and more. TouchQode really gives the the ability to code anywhere you go!